Organizing a remote team retreat is an incredibly stressful job. I've organized the last three retreats for my team and spent more hours than I can count in preparation for each. It wasn't until the third iteration that I discovered the secrets to a stress-free, productive retreat. I hope they help save you many hours in prepping your next meetup. I'm starting with the absolute most important lesson learned. At our first two retreats, we always wondered why it was so hard to find time to finish all of our planned sessions. Looking back, the biggest time waster was always related to food. Now although it may sound like an expensive luxury reserved only for royalty, hiring a chef is not only affordable, it's the #1 key to having a productive meetup. A chef (combined with scheduled meals) means that everyone will be on the same schedule, allowing your jam-packed schedule of sessions to even happen. You lose a lot of time organizing people to go out for 3 meals/day or to buy groceries and cook meals yourselves. Ultimately where you choose to go is up to your budget. If you're swimming in VC money and want to live it up on the beaches of Santa Monica, go for it. We've hosted summits in both Thailand (Phuket) & Mexico (Cabo) and both were jaw-dropping places for a retreat as well as perfectly aligned with our budget. 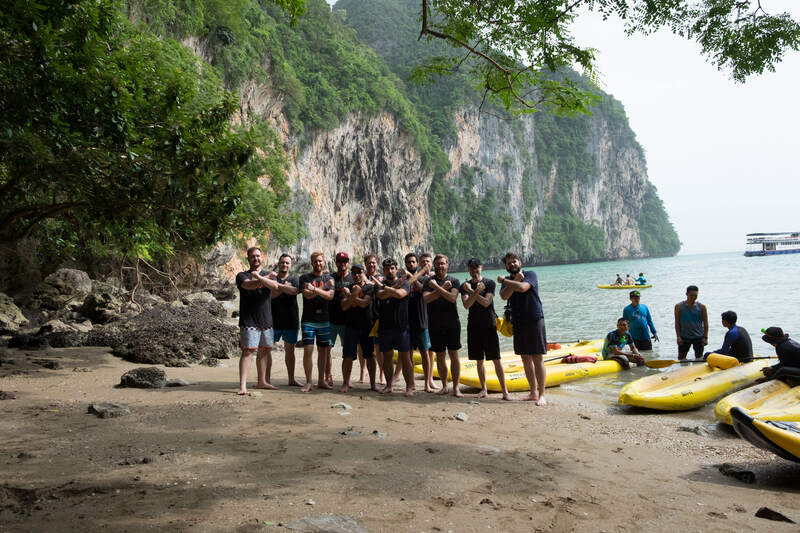 At X-Team, we've found it takes 2 days for the necessary bonding to happen before you can effectively start collaborating well together. After you fly across the world for 20+ hours to get to a retreat, you need time to unwind (and deal with jetlag) before you'll be ready to come up with revolutionary ideas for the company. 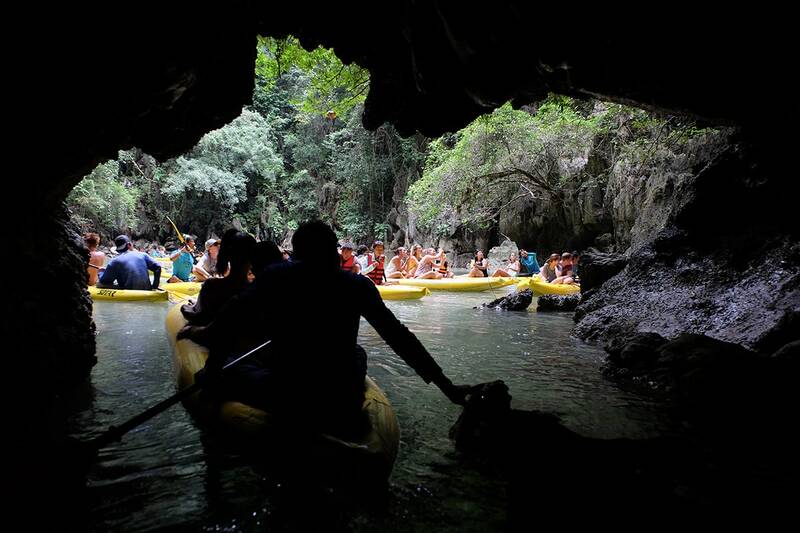 Use the first 2 days for bonding and group activities, like kayaking through epic bat caves in Thailand. That leaves 5 days for sessions, with the fifth day usually being checkout day, so it's more like 4 days. That leaves 4 of the 7 days to be productive while also still building team morale. That's not much time, but you'd be amazed how much can get done in just three days of focused work together. I'd also recommend making 1 of those days be a hackathon to let the team work together in-person on a small project. That sort of small group in-person bonding and collaboration goes a long way in the months that follow. But to make those 3 days productive, you'll need to start planning your sessions about one month in advance (with the ability to add new sessions up until the week before the meetup). Start a Google Doc in advance, share it with your team, and let them add any and all session ideas they have. If it seems like your list of sessions will exceed those 3 days of time, start prioritizing the list and make it clear that any sessions that don't make the final cut will be addressed at another nearby date. But again, with a chef taken care of, you'll achieve all those sessions. Period. Although it's tempting to simplify everything and buy a group of rooms at a hotel and utilize their conference rooms, I'm happy we've never taken that route. I understand though that hotels start to become a necessity when you have 100+ people to host. That said, when that day comes for us, I'll still be looking for a way to allow our teams to live and work together in a close environment like a group of villas or large houses (something that becomes increasingly difficult the larger your team gets). Above all though, you have to find a way to create a comfortable environment for collaboration. And for us, the common thread seems to be rooms with couches. I can't pinpoint the reason why, but there is something about collaborating on couches compared to in a conference room that helps people respect opinions more, contribute more ideas, and even pay attention better. 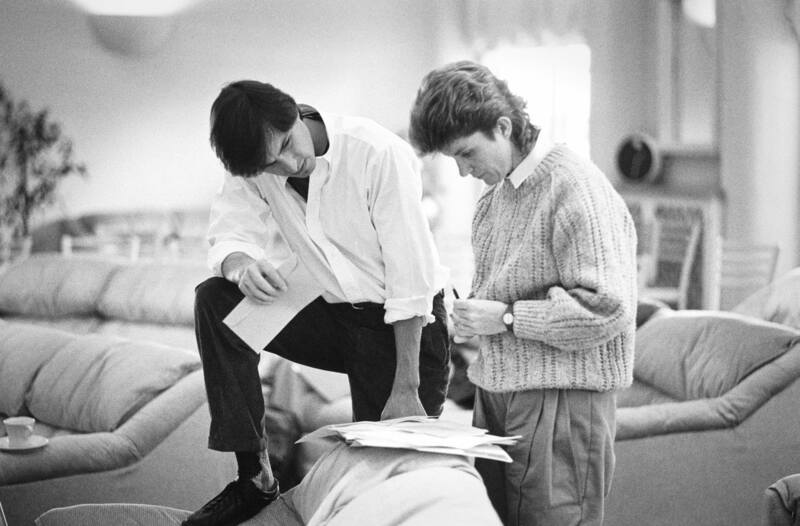 Even Steve Jobs knows this secret, as he often hosted his retreats for his company NeXT in a cozy room with couches and a whiteboard. A big part of our culture is tabletop games, but I really think any remote team can benefit from having them around at the end of each day. Werewolf - Really fun way to see how good everyone's bluffing skills are. The Resistance - Same as above. Jackbox Party Pack 3 (can play off a laptop and mobile phones) - Great for teams with funny people. Pandemic - Awesome teamwork and overall fun game. To top it all off, bringing some new, exclusive swag is a great way to get that extra boost of morale in there and something for them to take home as a souvenir. Have you learned any lessons? This list is just from my own experiences. I'd love to hear in the comments about lessons you've learned as well to help share with the remote working community.